A simple plugin that helps your blog or website visitors get into the Valentine’s Day spirit! 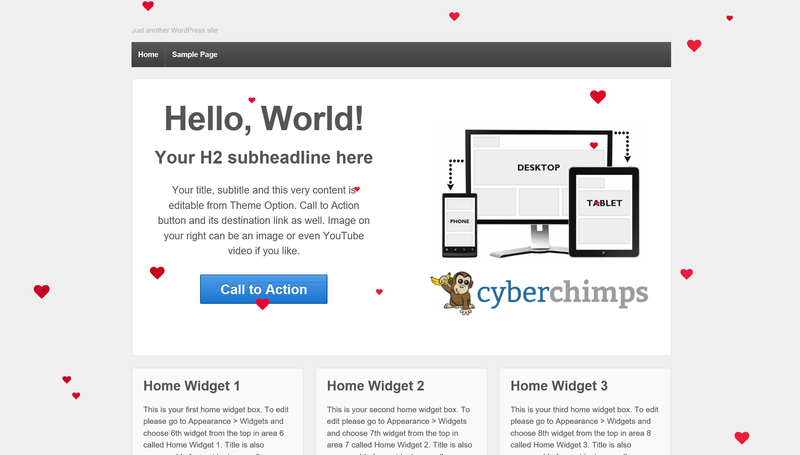 When activated, this plugin will display floating hearts falling on the front end of your website. Great for florists and any e-commerce site that sells Valentine’s Day gifts!